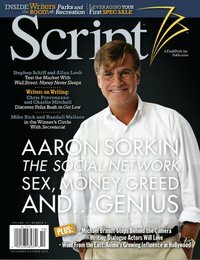 Script Magazine Brings Scriptchat to the Party! Joshua Stecker, West Coast Editor of Script Magazine, is coming to the Big Apple to sling back tequila with treeforters Jeanne Veillette Bowerman and Kim Garland. Deets are also on the Script Magazine Facebook page. New York City is yet one more step to #worlddomination! 8:05 pm filmutopia: #scriptchat O'Clock isn't it? 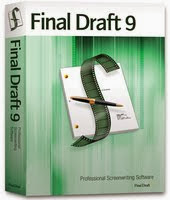 8:07 pm LifesizeLD: RT @filmutopia: #scriptchat O'Clock isn't it? 8:10 pm rpg3000: @DreamsGrafter Say hello from #scriptchat types who wish to be there but aren't! 8:24 pm filmutopia: @zacsanford2 Yeap, everyone else is drunk and I'm just plain old exhausted #scriptchat - how are you fella? 8:29 pm janetvaneeden: RT @booksbelow Looking forward to discussion of Little Miss Sunshine next week! #scriptchat <--1 of m fav films. Will definitely be there. 9:02 pm janetvaneeden: RT @filmutopia #scriptchat Little Miss Sunshine - textbook perfect example of how to construct a movie, in structure & char balance<-Agree! 9:04 pm kidNoir: Trying to get in on this #scriptchat that I read about in @scriptmag. SPCWriters: @jeannevb thank God! #scriptchat. scripteach: Woo-hoo ... all excited for Open Bar #ScriptChat tonight! 12:01 am SharkGoddess: I'm in #scriptchat, come one, come all! 12:01 am SharkGoddess: @TheWriteScript OKAY! You ready for #scriptchat? 12:02 am scripteach: better! RT @TheWriteScript: @scripteach I heard @zacsanford was buying! #scriptchat RT: all excited for Open Bar #ScriptChat tonight! 12:06 am thescriptlab: Hey all you #screenwriters out there ? Tune into #scriptchat going on for the next hour. You won't be disappointed. 12:07 am SharkGoddess: RT @thescriptlab: Hey all you #screenwriters out there ? Tune into #scriptchat going on for the next hour. You won't be disappointed. 12:07 am Chewie240: RT @thescriptlab: Hey all you #screenwriters out there ? Tune into #scriptchat going on for the next hour. You won't be disappointed. 12:08 am SPCWriters: @GCGeek what have I been missing? :) #scriptchat. 12:10 am fancynancysays: RT @thescriptlab: Hey all you #screenwriters out there ? Tune into #scriptchat going on for the next hour. You won't be disappointed. 12:16 am MonaLiNYC: "@TheWriteScript: I use an actor...the guy probably reads as many scripts as a reader, just from a dif perspective. #scriptchat"
12:16 am SPCWriters: @GCGeek I'm on Twitter, trying to follow. :) #scriptchat. 12:18 am DoubleNW: #scriptchat is going on, huh?? Topic?? 12:19 am cmhoughton: RT @thescriptlab: Hey all you #screenwriters out there ? 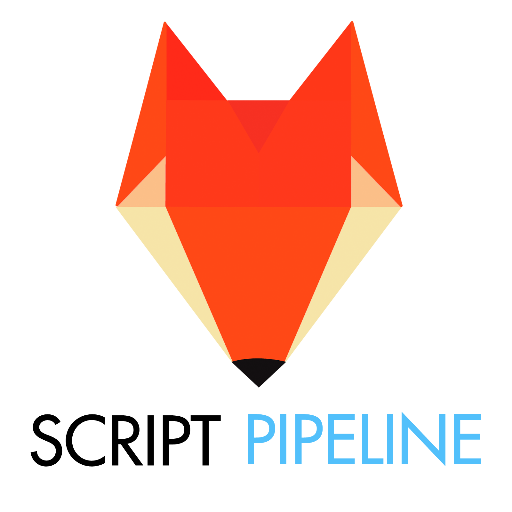 Tune into #scriptchat going on for the next hour. You won't be disappointed. 12:20 am SPCWriters: @SharkGoddess is here. #scriptchat. 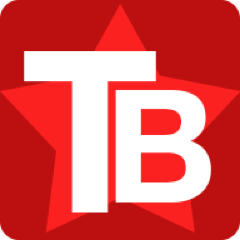 12:25 am yeah_write: @Iconobombastic Go to www.tweetchat.com and use the hashtag #scriptchat You will see all tweets and the hashtag added automatically. 12:26 am SPCWriters: @GCGeek ah sounds good, will give that a go when I have time. I usually just lurk. #scriptchat. 12:29 am Ameiam: @jeannevb #nano #scriptchat - do you mean the original versions of the ipod, or am I the one who is behind in technology? 12:32 am jeannevb: u write a 50,000-word novel in month of Nov #scriptchat RT @SharkGoddess: @jeannevb What is this #Nano I've been reading? 12:33 am dougsolter: RT @jeannevb: u write a 50,000-word novel in month of Nov #scriptchat RT @SharkGoddess: @jeannevb What is this #Nano I've been reading? 12:35 am beingbrad: @KonradStief as a consultant? Is he your buddy? #scriptchat what's his name? 12:36 am pulptone: @jeannevb hanging out at home but no #scriptchat been a busy day. 12:37 am Iconobombastic: As of late #scriptchat I've heard several writers say that they basically write the first draft as quickly as possible. 12:46 am SharkGoddess: @ChadLindberg A bunch screenplay & Tv show writers are gathered at #scriptchat, you're welcome to lurk or whatever! 1:00 am youngshay112: @jeannevb i'll come for vodka #scriptchat i've considered adapting last year's #nanowrimo into a script. 1:01 am goodejim10: #scriptchat I hate coming up with an idea that really turns me on. 1:02 am jeannevb: excellent! RT @youngshay112: @jeannevb i'll come for vodka #scriptchat i've considered adapting last year's #nanowrimo into a script. 1:07 am rachlanger: @jeannevb Posted a cute Halloween photo on the #scriptchat blog - couldn't join in today, but there's my contribution. 1:15 am jtabergas: Missed #scriptchat tonight. :( looking forward to reading the transcript!